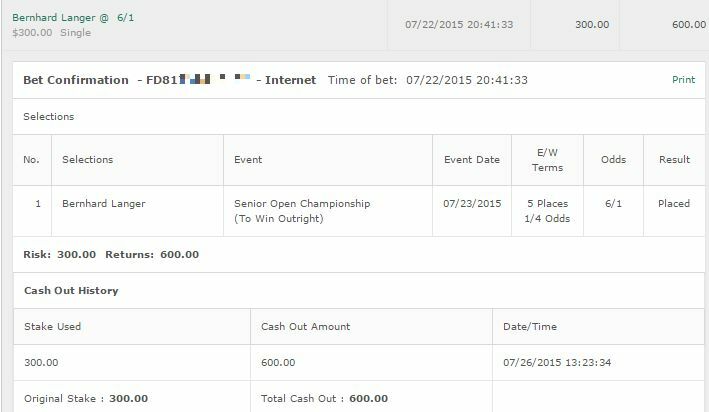 There was no wins last week with the Deutsche Bank Championship unfortunately as we lost 2 units on it. Frustratingly all of our 6 picks went under par as well with Gary Woodland hitting a -4. If not for that +2 round 3 he would have been in the money most likely. However it was still a good sign to have every golfer in there past round 2. It was also quite good seeing Rory McIlroy dominate like only Rory can. An absolutely stellar performance from him. We move onto this weeks golf. On the PGA front we have the BMW Championship, while the European Tour has the KLM Open. There’s no Champions Tour event this week, nor is there any LPGA events. There IS the Paris Legends Championship with Ian Woosnam and John Daly. I’ll be watching that one but any bets will purely be for fun. Right – let’s get on with this weeks betting tips. 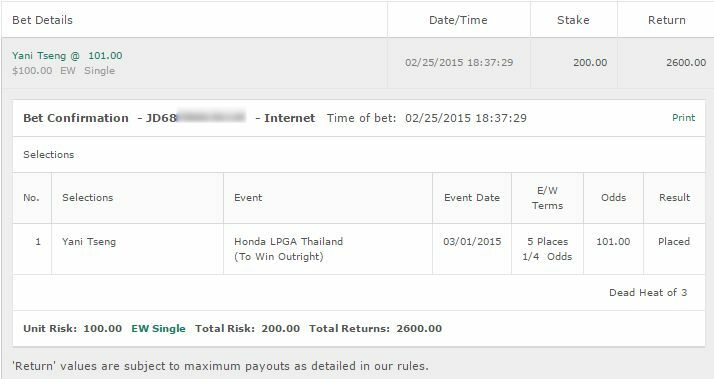 Daniel Berger: I feel pretty good betting a quarter unit on Daniel Berger to win and E/W. The American ate this course up last year with a dominant 2nd place finish. He also played fairly well at the Deutsche Bank Championship and Travelers Championship. He did of course just win the Fed Ex St.Jude Classic a couple of months ago, and I’ve got a decent level of confidence in Berger here. Enough to wager a quarter unit on him anyway. Rory McIlroy: A winner here back in 2012 I find it hard to back someone to put up back to back wins. However at a time where everyone else is fading slightly, Rory is coming in here on absolute fire. While I’m not incredibly confident I feel Rory is worth betting a quarter unit that he will win. I may even put a half unit on him when all is said and done because really why not back one of the worlds best golfers when his form is as good as it is now. Luke Donald: Donald has performed fairly well at this tournament in recent years. His last two tournaments have been very poor – the Barclays and the Deutsche – where he ended up over par on both of them. While that was extremely disappointing he shoed at the Wyndham that he still has it with a 2nd place finish and earlier this year a 2nd place finish at the RBC Heritage. That’s enough to get me to back him for a quarter unit. Win and E/W. 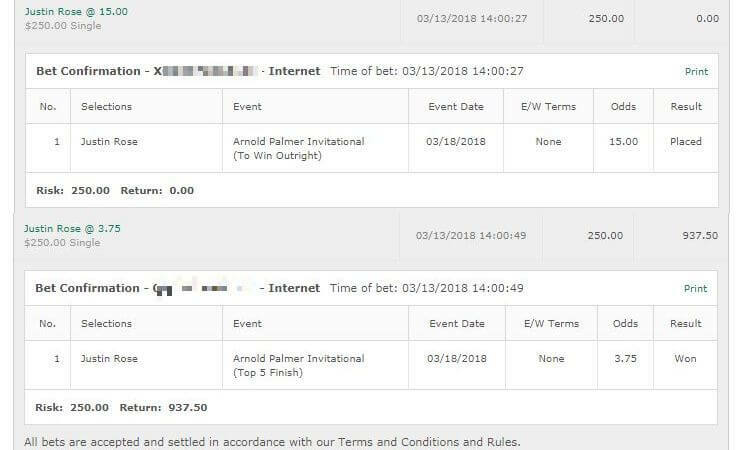 Adam Scott: I guess we’re doing 4 quarter unit bets. Adam Scott is on fire at the moment and coming into a tournament where he has placed well at before – I feel fine betting him to win and E/W on this one. All of these are to win and E/W except for Rory which is purely to win. No betting tips for the KLM Open.